Golf Society days are all about enjoying golf with friends; a good round followed by warm hospitality and good food. Our course is very easily accessible from the M1 and A5, and we are only 15 minutes from Milton Keynes, Bletchley, and moments away from the centre of Leighton Buzzard. Aylesbury and Dunstable are only 25 minutes away. Charming 18 holes, set in delightful parklands, with tree lined fairways, the occasional pond all overseen by red kites and even buzzards. 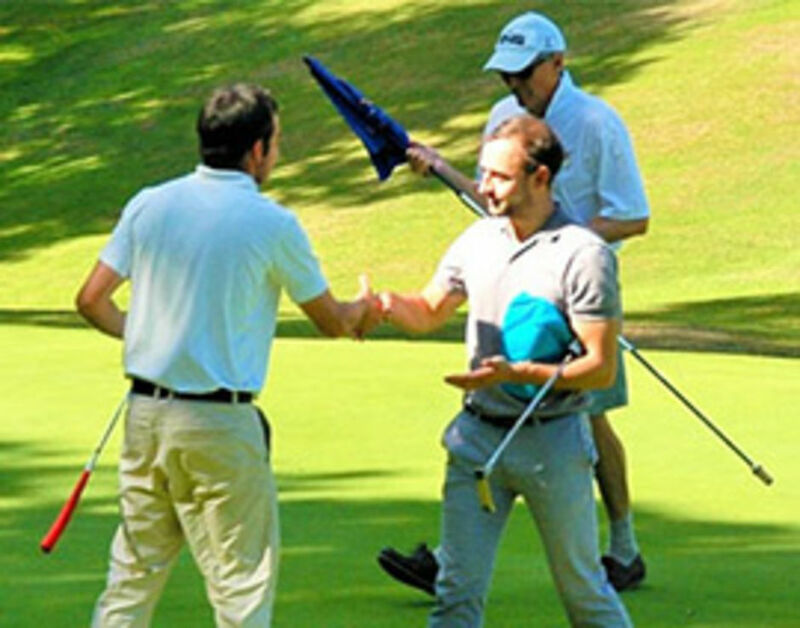 It is a delightful setting for golf and a fair test for golfers of all abilities. Click HERE for the players guide to our course. You will be greeted by one of our Society Hosts and our professionals who will ensure that you have all you need to enjoy your golf. So maybe you have not won a prize, possibly the devilishly tricky 18th has thwarted you again! There is still plenty to look forward to in the bar, the banter over an excellent dinner as you explain how you missed that tricky downhill left to right putt! Sit out on our balcony that offers panoramic views over the course and look forward to an excellent dinner. "A great day of excellent golf on a well presented course, great food, and plenty of it too. Friendly helpful staff, thank you"
"Just wanted to say thank you to everyone for making yesterday such a marvellous Society Day. The food was excellent and the weather played ball as well!!" "On behalf of my friends of St Neots Golf Club, we played today and your course was an absolute pleasure, it was in fantastic nick & was enjoyed by all"